Ronald E.Snyder, M.D. Rolando Amadeo, M.D. Kathia Baucage-Rodriguez, M.D. 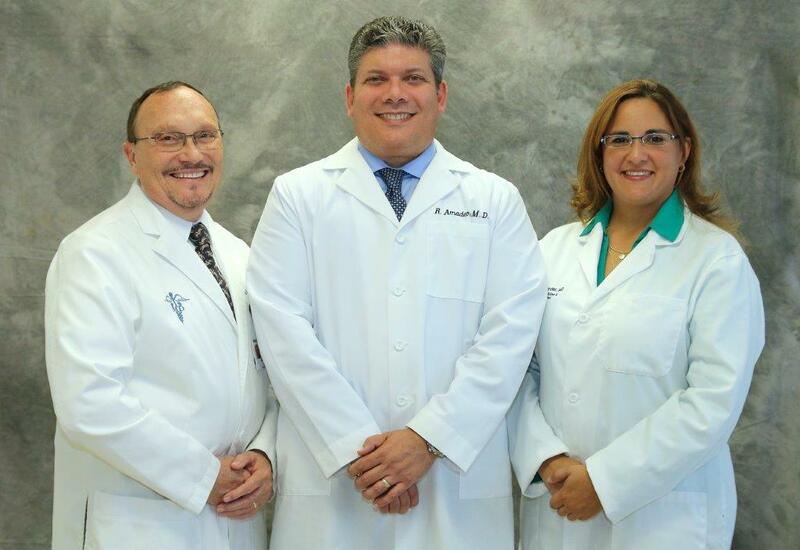 Our Board Certified Medical Specialists have over 30 Years of Experience. We specialize in EMG Nerve Testing. We also cater to accident victims, and we have many years of experience in the proper documentation of these injuries. Our specialists are board certified in performing EMG/ Nerve Testing. We proudly serve the Orlando, Kissimmee, and Maitland areas. We are able, experienced, and eager to help you get the proper medical care you need. We work with all insurances, and we have dedicated insurance specialists to handle all concerns for the payment of your care. From extreme cases of spinal injury to basic whiplash and headaches - our experienced staff can provide you with the comprehensive medical services you need. If you have a legal case, we will help you identify all your injuries and your long term treatment needs. Many times, personal injury cases appear as common injuries. Our doctors specialize in all areas related to personal injury care and are able to provide the highest quality care for conditions such as migraine headache help, balance testing, EMG testing/ nerve studies, carpal tunnel help, and pain relief. Our diagnostic clinics are some of the best in the country, and we even cater to sports injury cases as well. Whether you're nervous about what truck accident help may cost, or you simply can't find the right doctor to provide you with quality car accident help - let our experienced and professional personal injury doctors and insurance specialists handle your concerns. Don't put off getting relief for your pain for one more day!